The above is from an amaz­ing record­ing of rímur sung by Steindór Ander­sen, a renowned kvæða­maður, or tra­di­tion­al chanter. This verse is from an old record­ing, but it is fol­lowed by addi­tion­al vers­es in a mod­ern, rock-like orches­tra­tion by Hilmur Örn Hilmars­son. Both men have worked with Sig­ur Rós. The sen­ti­ment is appro­pri­ate to my inves­ti­ga­tions in Ice­land. This small, peace-lov­ing island coun­try has weath­ered many storms blow­ing across the sea from pow­er­ful con­ti­nen­tal tem­pests. While mis­takes have been made, Ice­land is a place where peo­ple seem to believe that prob­lems can be solved. This atti­tude is in sharp con­trast to the mor­bid pas­siv­i­ty and defeatism that enshrouds some of the larg­er and loud­er nations. To under­stand this, I’ve been speak­ing with a vari­ety of Ice­landers. It is just a first step. I have been mere­ly intro­duc­ing myself and estab­lish­ing some rap­port so that these issues can be explored in greater depth by cor­re­spon­dence. It has proven both infor­ma­tive and delight­ful. The egal­i­tar­i­an Ice­landers care not that I have lit­tle pres­tige — I’m mere­ly a curi­ous Cana­di­an. Peo­ple rang­ing from civic and nation­al politi­cians and civ­il ser­vants to aca­d­e­mics, musi­cians, and film­mak­ers, have all giv­en me pre­cious time and hon­est talk. 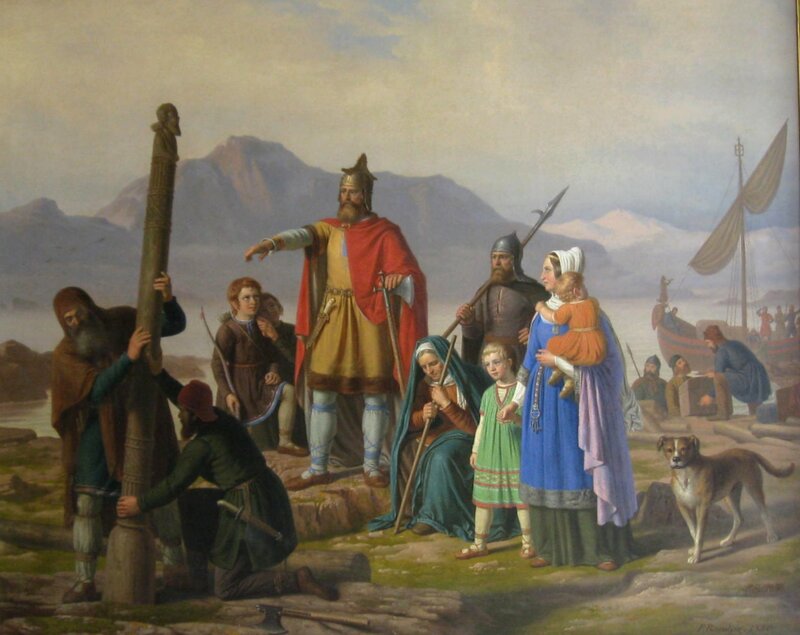 I must thank, among them, Ásgrí­mur Sver­ris­son, Kári Gun­nars­son, Sveinn Guð­munds­son, Herdis Sig­ur­jons­dot­tir, Ste­fán Bal­durs­son, Sibeso Imbu­la, and Sig­urður Bjorn Blondal. There will be oth­ers to thank in the days to come. Solv­ing the prob­lems that face a nation is not served by con­coct­ing utopias, but by observ­ing sound prin­ci­ples of fair­ness and rea­son. I was delight­ed that every­one I spoke with seemed to take that approach. There was no whin­ing. As one of my infor­mants observed, in the wake of the finan­cial cri­sis of 2008 some of the peo­ple respon­si­ble for the deba­cle were lat­er instru­men­tal in cor­rect­ing it. Appar­ent­ly, the well-being of the coun­try in the end over­ruled stub­born pride. This was a remark­able point to make. Every nation, like every extend­ed fam­i­ly, has its fools, and even the wis­est have their moments of fool­ish­ness. But it is a strong fam­i­ly indeed that has fools who learn from their fol­ly. When I was in Ice­land the first time, short­ly after the cri­sis, I did not find peo­ple in a pan­ic or a rage. I found peo­ple who knew that they had made mis­takes, and were deter­mined to cor­rect them. Now that I am back, I see the results of those efforts, and they are impres­sive. Cana­di­ans could learn from this. We are not a small, tight­ly bound togeth­er coun­try like Ice­land. Indeed, we are loose and sprawl­ing, with many fac­tions bare­ly aware of each oth­ers’ exis­tence. But we are not a tor­pid giant like our neigh­bour to the south, and not con­demned to moral and intel­lec­tu­al paral­y­sis — unless we so choose. We are now enter­ing a time of much greater per­ils than mere stock mar­ket crash­es. We will have to step nim­bly to sur­vive. Ice­land, con­sid­er­ing its small pop­u­la­tion (329,100 at last count), has pro­duced a phe­nom­e­nal amount of rock music that has reached a glob­al audi­ence. It’s as if Oshawa, Ontario or Eugene, Ore­gon each had a half-dozen world-lev­el bands. Absurd­ly improb­a­ble, when you think of it. Reyk­javík is a live­ly lit­tle city, but its frisky music scene, what Ice­landers call jam­mið, is con­fined to a hand­ful of clubs in the “101” dis­trict: Café Rosen­berg, Kaf­fibarinn, Bar 11, Dil­lon, Den Danske Kro, The Celtic Cross, The Eng­lish Pub. After mak­ing the rounds, peo­ple stag­ger out­side to find a hot dog or a crushed sheep’s head as a post-gig snack. The hard-drink­ing Ice­landers take their jam­mið seri­ous­ly. Bands and audi­ences mix freely in this pro­found­ly infor­mal and egal­i­tar­i­an coun­try. This small, but intense scene has pro­duced phe­nom­e­na like the Sug­ar­cubes and Björk, Mínus, Sig­ur Rós, Quarashi, Sálin, Botnleð­ja, Maus, Agent Fres­co, Samaris, Mam­mút, and Jakobí­narí­na. Ingól­fr Arnar­son founds the first set­tle­ment at Reyk­javík in 874 A.D., lay­ing the ground­work for jam­mið and the Ice­landic music scene. He appears to be stand­ing pre­cise­ly at the spot where Kaf­fibarinn stands today. An 1850 paint­ing of dubi­ous his­tor­i­cal accu­ra­cy by Johan Peter Raad­sig.